The Grubb Group values collaboration and an entrepreneurial spirit. By working together and always striving to be better, we believe we continually enhance our value to you. Welcome to The Grubb Group at Morgan Stanley. It is with great pride that we invite you to meet our client-focused team of Financial Advisors and Service Professionals. 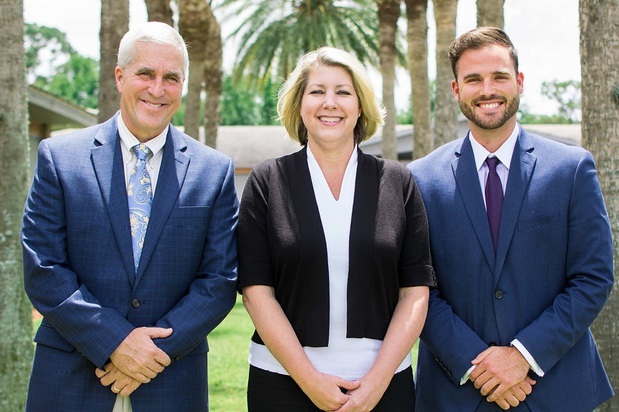 The Grubb Group is a strategically assembled team of financial professionals working in unison to provide you with the highest level of service and attention to detail when it comes to your personal financial matters. Our primary objective is to satisfy your individual financial planning and wealth management goals. To achieve your unique goals, we combine our time-tested experience with all of the resources available through Morgan Stanley to ensure you have a consistent and personalized investment process. We are here to simplify your life and ease your financial and investment concerns. We firmly believe in an open-architecture style of investing, wherein we utilize all tools available to achieve your goals. We don't subscribe to a theory or process of "one size fits all" investing. We sit down with you to discover your needs and then after listening to your unique situation, we tailor a financial plan just for you. After your plan is in place, we continuously monitor it's progress and make changes as necessary. Culturally, The Grubb Group values collaboration and an entrepreneurial spirit. By working together and always striving to be better, we believe we continually enhance our value to you. We always conduct our business with the utmost professionalism and integrity. Finally, we embrace our role in your personal financial situation and are thankful for the opportunity to make a positive difference in your life. 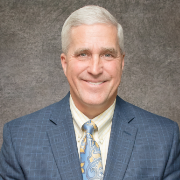 Dale Grubb’s one and only occupation has been serving the Sebring/Central Florida area as a Financial Advisor for 33 years, all with the same firm. For a remarkable 31 years in a row, he has been named to the firm’s Chairman’s/President's Club, an honor reserved for the top advisors in the country. Dale earned his B.S.B.A. in finance from the University of Florida in Gainesville. He is a Senior Portfolio Management Director, which means he can manage assets on a discretionary basis, and he recently obtained the prestigious designation of Family Wealth Advisor. Dale possess all licenses for trading, investments, annuities and insurance. Dale is an active member of the community. He is a member of Bible Fellowship Church where he and his wife, Lori, teach college and career education. He is a past president of the Sebring Sunrise Rotary Club, a member of the chambers of commerce in Sebring, Avon Park and Lake Placid. He is also a member of the Highlands County Citrus Growers Association and Safari Club International. Dale is a founding member of the Sebring Touchdown Club and a 19-year board member of Youth for Christ, where he also served as chairman of the board for 3 years. 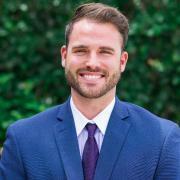 Matthew Grubb has recently begun his career serving the Sebring/Central Florida area as a Financial Advisor for Morgan Stanley. His primary goal is to build relationships with prospects and clients alike that are built on the foundations of trust. In first establishing a relationship, he believes that only then can an advisor truly understand the needs of each individual client and situation. He focuses on establishing holistic financial plans using Morgan Stanley’s various programs and wealth of resources to not only provide a strategic investment plan but also a roadmap for achieving their financial goals. From a young age, Matthew was always drawn to the financial industry after seeing his father, Dale, have such a passion for the markets and his job in general. His interest really began to take off in college when he gained a better understanding of investments and everything that goes into the economy and markets as a whole. He was also very intrigued in the financial industry because he had seen firsthand the impact that his father had on countless people’s lives through ensuring financial stability for their families and he wanted to make an impact on people in the same way that his father had. Matthew began pursuing his degree at Emory & Henry College in Emory, VA while playing college football. After two years, he transferred to the University of Florida where he completed his B.S. in Applied Biology. From there, he went on to complete his Master’s degree in Agribusiness. After joining Morgan Stanley, Matthew completed and now holds his Series 7 & 66 registrations, along with his insurance and annuities license, and banking registration. Being born & raised in Florida, Matthew is proud to be a Gators alumnus now in Sebring with his beautiful wife, Megan, and their chocolate lab, Moose. Leighann Giacin joined Morgan Stanley in 2016 as a Client Service Associate for The Grubb Group. 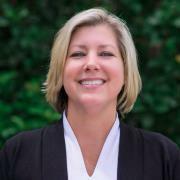 Her goal is to provide exceptional service to every client and prospect she interacts with. On a daily basis, Leighann loves assisting clients and helping them with all of their account needs. Leighann provides excellent support for the advisors within The Grubb Group and makes the overall client experience a top priority. Living by the motto Treat others as you wish to be treated, Leighann focuses on the individual wants and needs of all of our clients, knowing that no two clients are the same. Leighann is an integral part of the operational and relationship management divisions of The Grubb Group.